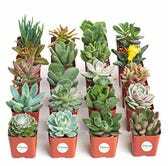 Succulents: plants genetically engineered for people like me, who can’t keep plants alive. 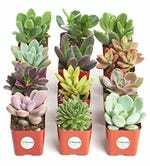 While supplies last, Amazon’s running an rare discount on collections of 12 and 20 succulent plants shipped right to your door. 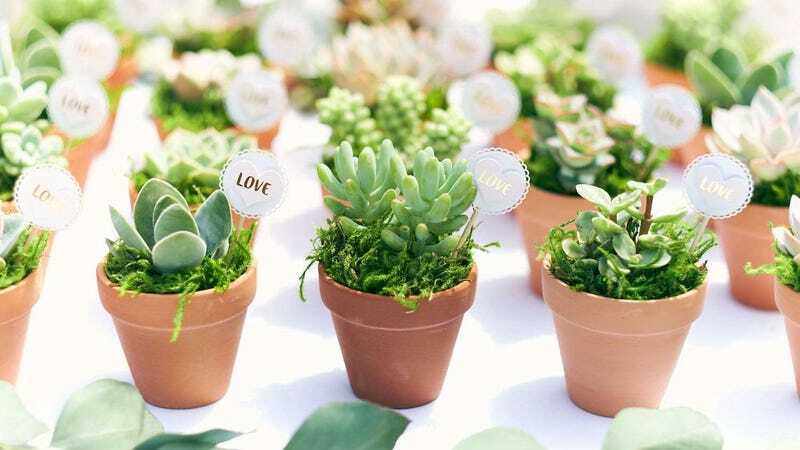 Each plant is unique and comes in a 2" pot, but many of them will be ready to transfer to a larger arrangement. Just remember, the green ones do well indoors, while purple and orange plants will be happier on your patio. Just take good care of them.